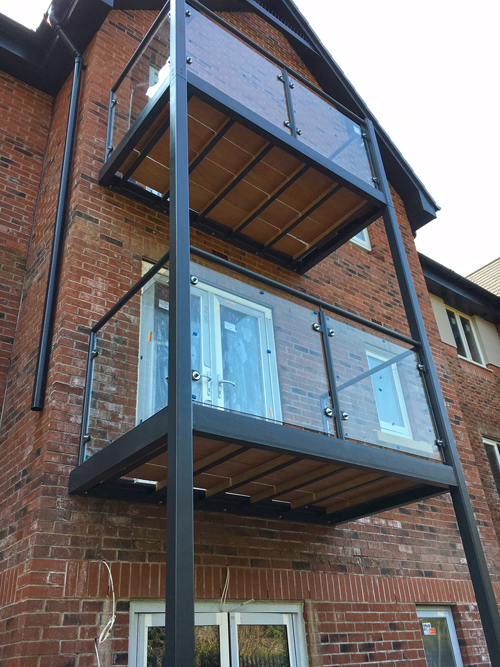 Street Structures/Urban Design & Developments Ltd were approached by Gladman Homes to design, manufacture and install a variety of glazed balcony units to their new apartments in Cheadle. 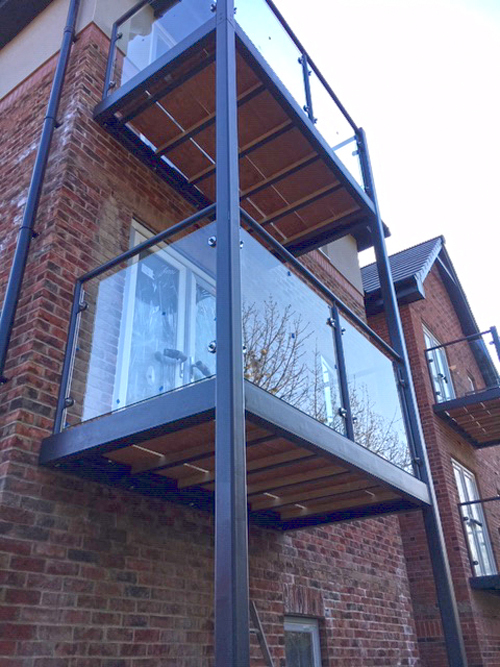 The balconies are manufactured entirely from galvanised and decorated mild steel. The steelwork has been painted ral 7016 with a matt finish, as per the clients request. 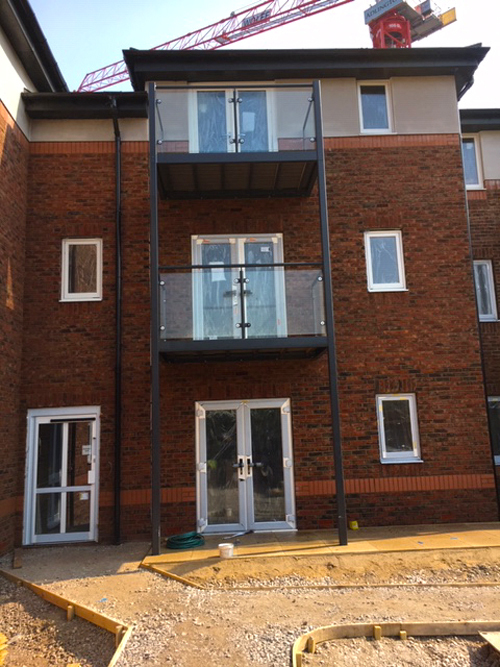 These balconies at Cheadle comprise of 2no 100 x 100 x 5 shs columns standing at 8 meters tall. 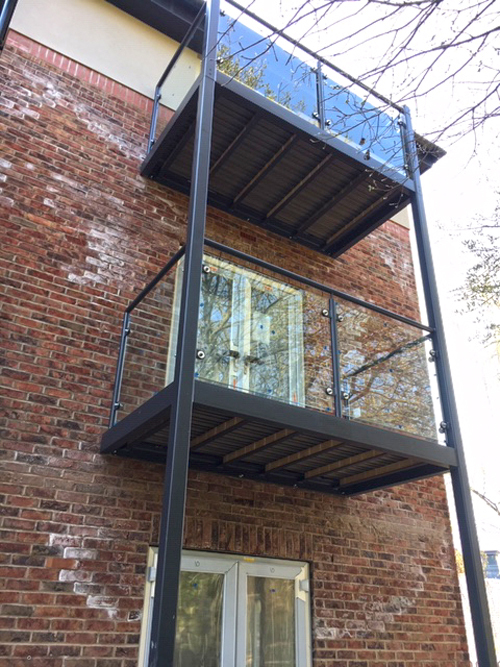 The two balconies components are manufactured with 150 x 75 parallel flange channel bottom frame, 48 diameter mild steel posts welded to a 48 dia mild steel top rail. 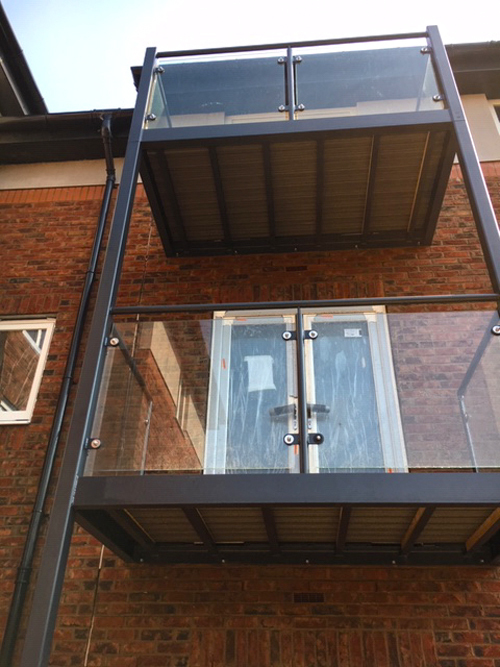 The glazing used on this project for Gladmans is 13.5mm thick clear toughened laminated safety glass that has been polished all around. 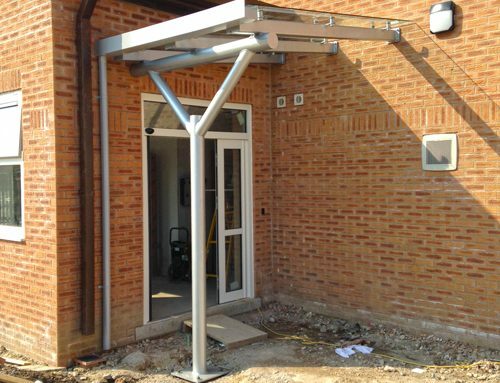 The glass is held in place via UDDLs glazing brackets to suit the thickness of glass. Our works at this site in Cheadle are still ongoing. 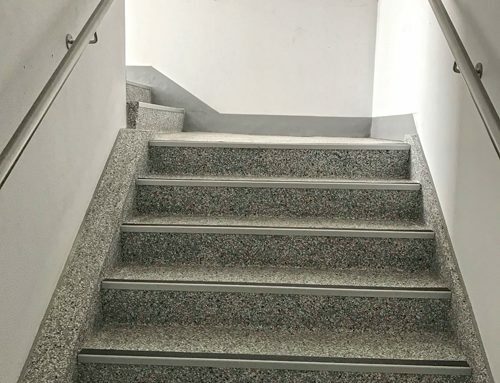 Deepwood Properties – Stainless Steel Handrail – Alston House, Bracknell.